Hell’s Gate on the Kettle River. Sandstone, Minnesota has easy access to adventure. 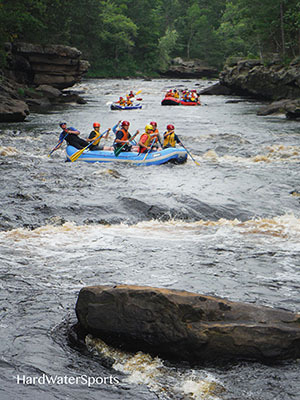 The Kettle River is right in our backyard, run some whitewater rapids or hike the trails of Banning State Park. 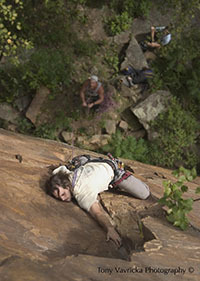 And there’s the climbing in Robinson Park – rock climbing in the Spring Summer and Fall, ice climbing during the winter months. 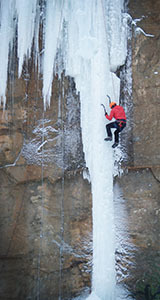 For rafting and climbing adventures contact local guide company, Hard Water Sports. Sandstone, Minnesota is known as the “First City of the North Woods”. 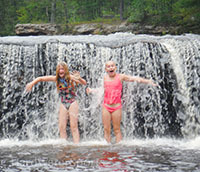 You’re not going to be disappointed when you visit Big Spring Falls or the Hell’s Gate on the Kettle River. There’s amazing scenery to see along the Kettle River in Banning State Park, from the trails visitors get views of the rapids and the kettles formed by the water. Sandstone is a great place to get your exercise. 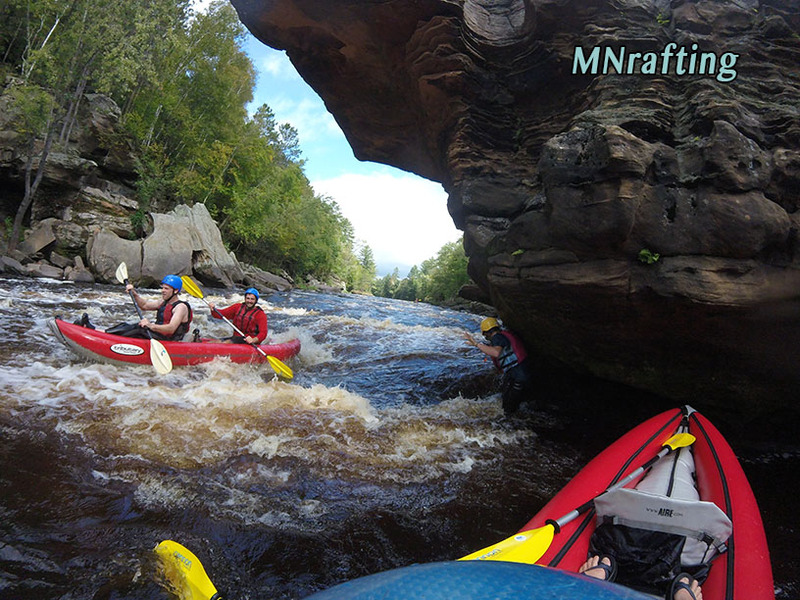 Trail running, climbing, and paddling right here in Sandstone, Minnesota. 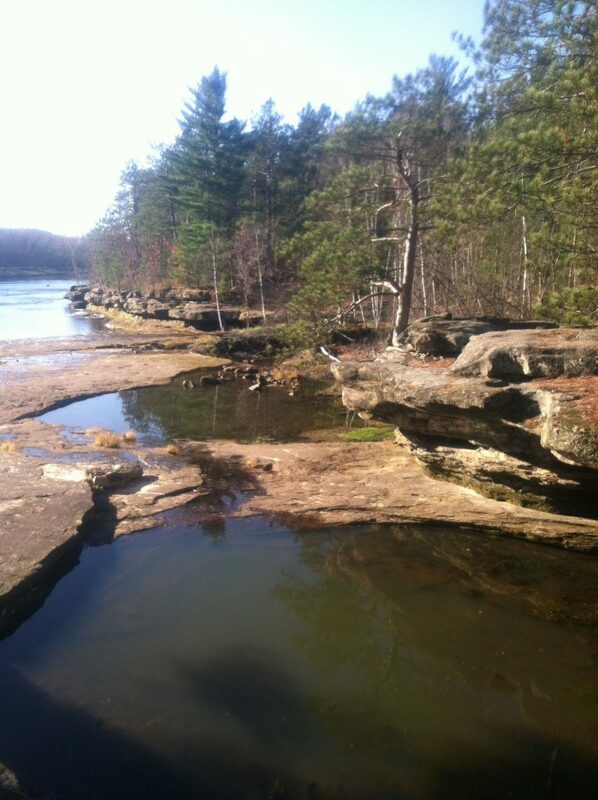 Hit the trails of Banning State Park, or hike the Quarry Spur from Robinson Park to Big Spring Falls. Rent a SUP board and paddle up to Hell’s Gate and Wolf Creek Falls. If you’re looking to get away from the craziness of the city, if you need a little “peace” time in nature you’ll find it in Sandstone. If you want to listen to the sound of the rapids and the birds singing, you’ll find it in Sandstone. You’ll find plenty of quiet spots along the river of river and plenty of trails to help you reconnect. 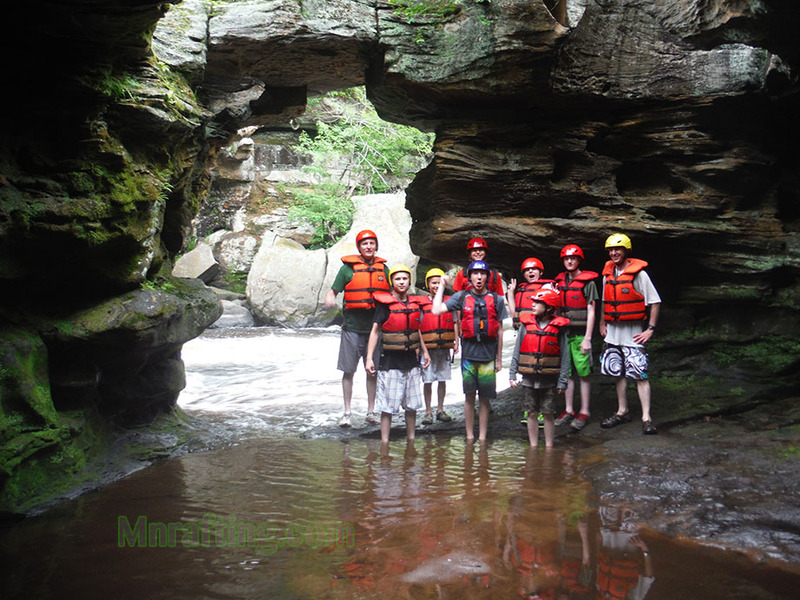 Yeah, it’s time you find out for yourself why Sandstone is an awesome place for nature lovers and adventure seekers, then you can be in the know.